Having a little Toddler is thrilling in so many ways. One of them is food consumption. I never thought I would eat off the floor, but i do, regularly. 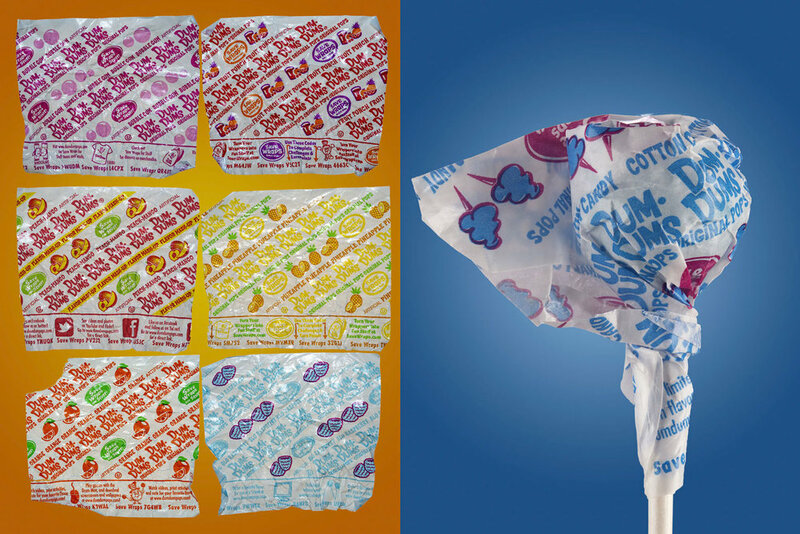 Take for example DumDums Lollipops, there is a still a large sized Halloween bag in our home. Needless to say there are many sticky sticks of hard candy in far corners of our home. I’ve looked at them long enough now that I have seen them enough to want to do something about it. Thats right, a small photo shot. First part is to collect the covers over a wide range, I really had to push the root beer on the kid, he seemed to only want the fruit. Oh Well, I could have faked it but he pulled the cover off in the way that only a toddler could. Torn and tattered I collected them one by one. I guess I should call his dentist. Maybe this was not a good idea at all!